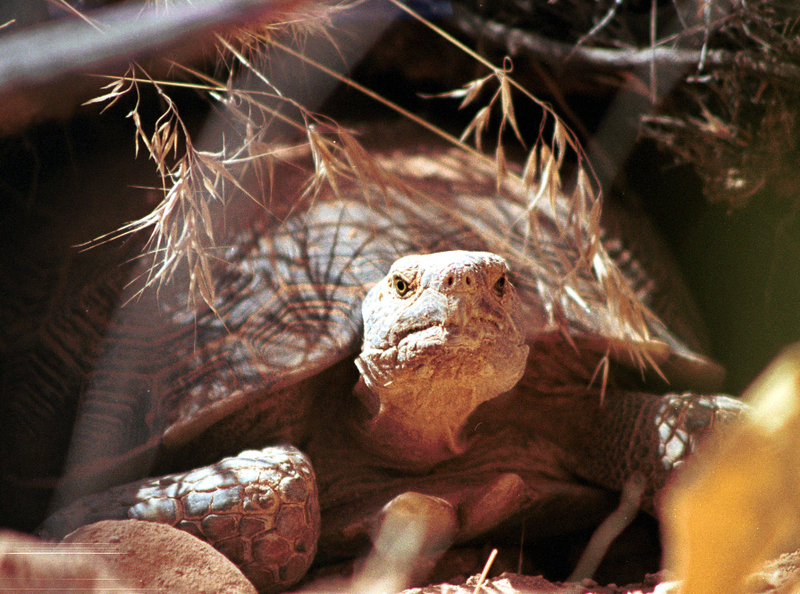 The largest native land tortoise in North America, the desert tortoise is listed as threatened on the U.S. Endangered Species Act and is protected throughout its range. The population has decreased by as much as 90 percent in some areas since the 1980s due to vandalism, predation, disease, and collection for pets (now illegal). Habitat loss from mining, livestock grazing, off-road vehicles, and development are also major factors threatening this ancient animal. Another problem is that females do not breed until they are 15 to 20 years old, and then may lay eggs only when adequate forage is available. 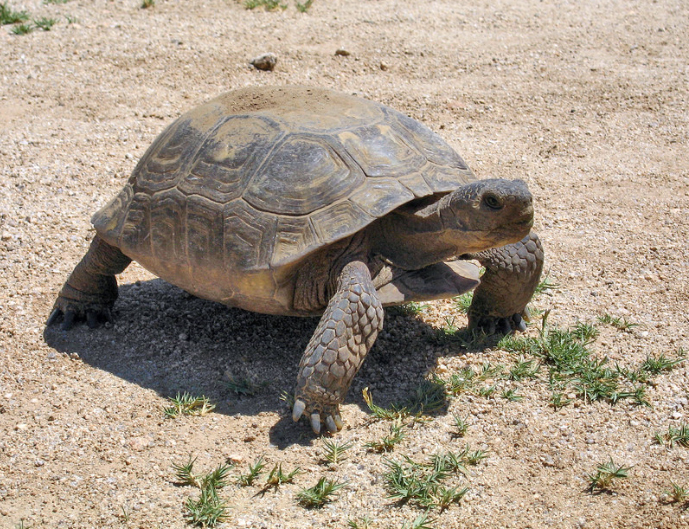 Only 2-3 percent of hatched tortoises live to adulthood. Natural predators of the desert tortoise include ravens, gila monsters, kit foxes, badgers, roadrunners, coyotes, and fire ants. They prey on eggs, juveniles (with a thin, delicate shell), and sometimes adults.